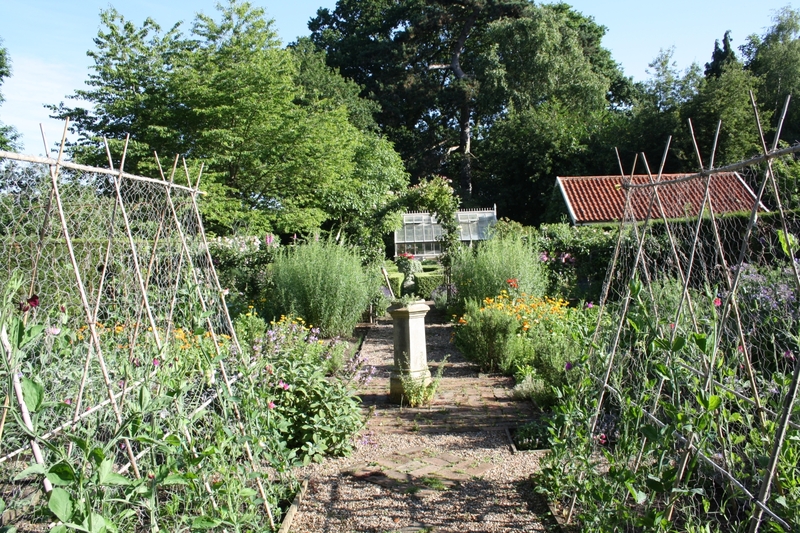 Just under 2 acres of garden divided into areas for different seasons: herbaceous borders with trees for Winter interest, herb/picking garden, rose garden. Light soil so many self sown flowers. 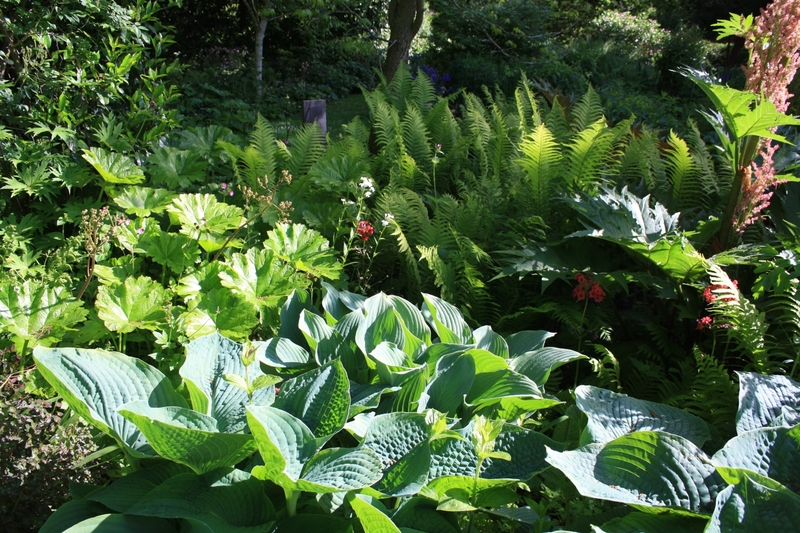 Damp area with emphasis on foliage (Rheum, Darmera, Rodgersia, Hellebores). Most recently a terrace to West side of the house, all still developing after 28 years, with more projects in the pipeline. 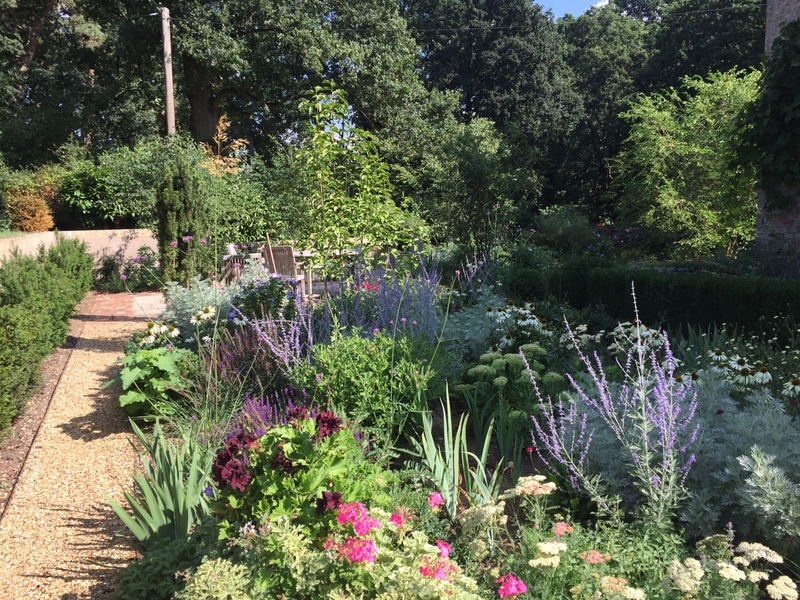 Just under two acres developed over 28 years with the latest addition: a terrace with steps leading up to main lawn and large herbaceous borders with mixed planting on dry sandy soil. Butterflies abound in spring and summer as do dragonflies breeding in adjacent wood. 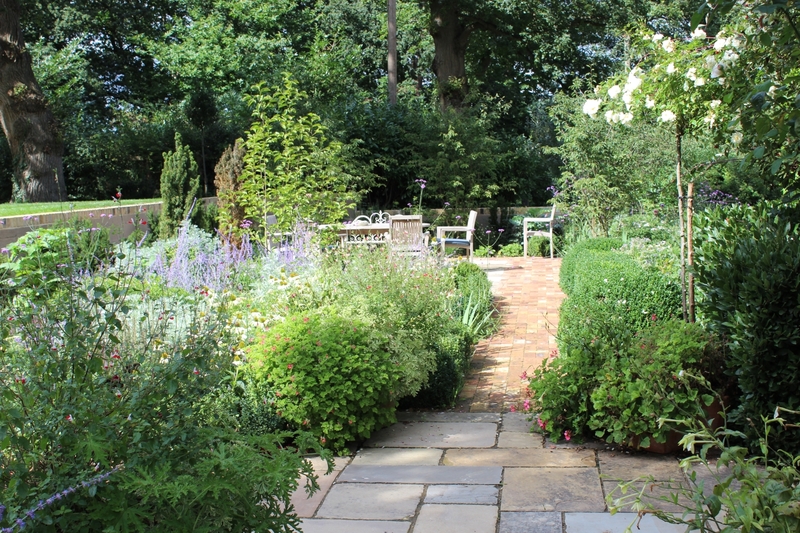 Informal paths weave round the mature oak, chestnut and beech trees that border the garden. 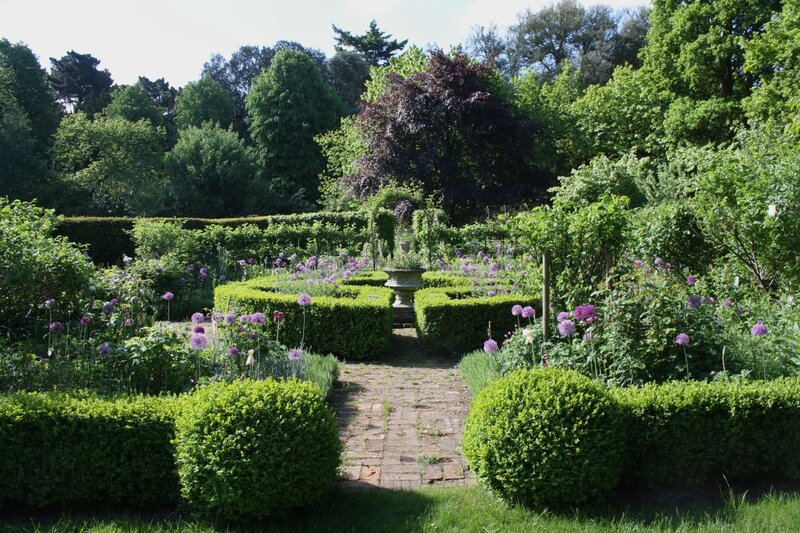 Yew hedges divide areas into picking/herb garden, rose garden, wild flower area with fruit trees, greenhouse, studio, and a damp dell to the North of the house with lush foliage, Willow, Ferns, Hydrangeas, Aconites, Snowdrops and Hellebores. In early summer primula and native orchids appear. We hope Meconopsis will still be thriving next June. 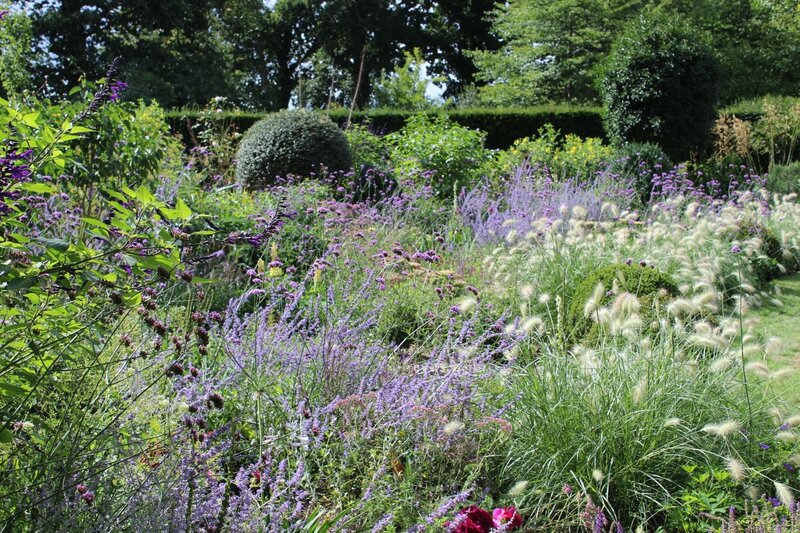 Abundance of Alliums and Tulip bulbs, Lilac and scented plants. Box hedging and Bay lend structure and a beautiful Wisteria and Rose Rambling Rector are amongst other May/June flowering shrubs. 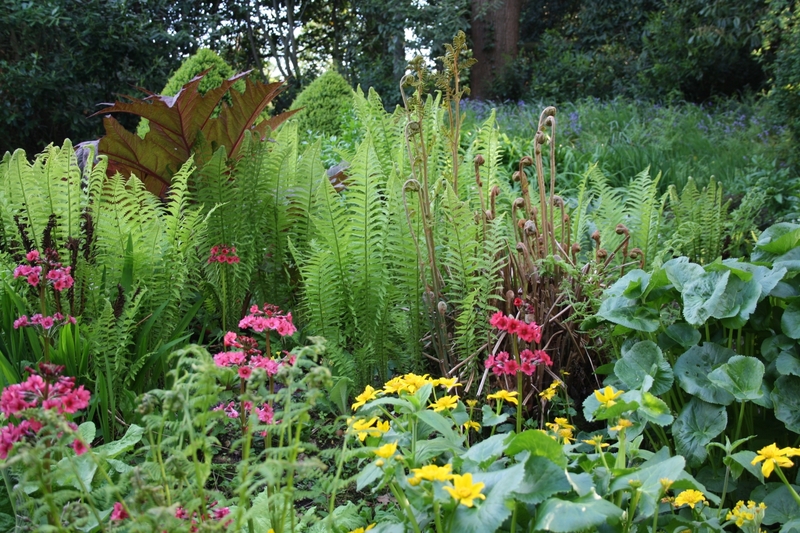 Salvia, Dahlias and Heleniums give autumn interest whilst in spring blossoming trees, Bluebells, Primroses and Anemones along with other spring bulbs bring early colour. The owners have made sure they can pick bunch of something to make a beautiful arrangement any week of the year. The Ship Inn is 2m up road in Levington and does good pub lunches. Lovely walks on the Orwell Estuary with extensive bird life especially at low tide. Nacton is very accessible from Ipswich and surrounding areas. Most areas are accessible for disabled visitors, however several grassy slopes and various different levels so some energy needed to get everywhere!